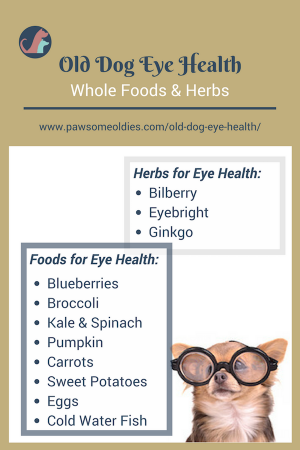 Support old dog eye health by using natural remedies such as herbs, supplements, and whole foods. Read this post to find out more. As our dogs age, we should take great care to keep their bodies healthy and strong. And that should include their eyes. Dogs “see” using more senses (e.g. smell and sound), and may not rely as much on their eyesight as we do to navigate around their world. But I think we all agree that vision loss is a rather big stressor for dogs and can greatly reduce their quality of life. 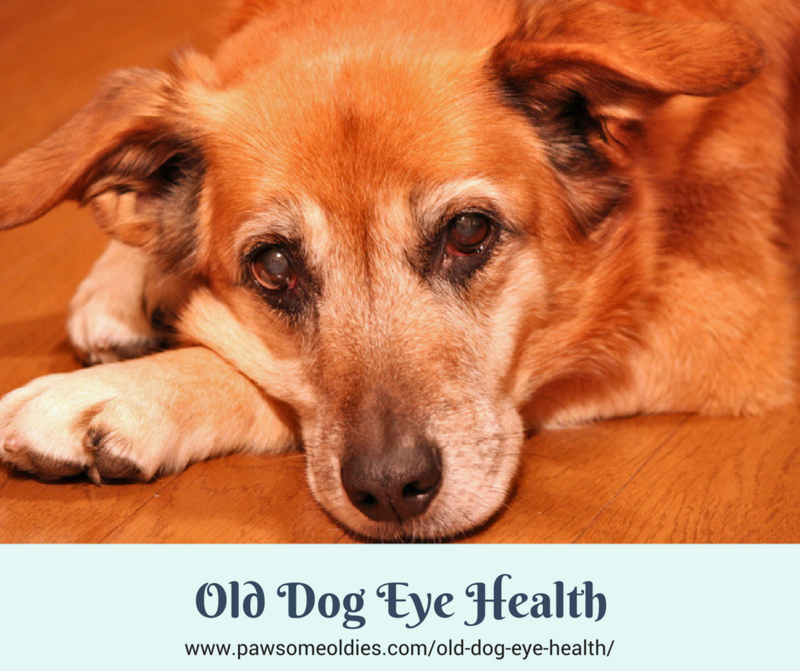 This post takes a look at some common eye problems that old dogs have, and how to use natural remedies such as foods, herbs and supplements to help support old dog eye health. Just like in people, dogs get cataracts as they age. Cataracts usually occur in both eyes and are the result of the hardening of the lenses, making the eyes “cloudy” and opaque. This gradually reduces vision. At the onset, you would probably not notice any changes. By the time you could see gray-ish or blue-ish spots on the lenses, cataracts would already have involved over 60 percent of your dog’s eyes. The good news is, cataracts don’t cause any pain and, according to Dr. R. Kidd (author of Dr. Kidd’s Guide to Herbal Dog Care ), almost never cause total blindness. While cataracts are mostly age-related, some health issues (e.g. most notably diabetes) can also cause this eye problem. The only treatment of cataracts is by surgery. Talk to your vet to see if your old dog is a suitable candidate for this procedure. If your dog hasn’t completely lost his vision, is adapting well, and you don’t want to put him under the stress of surgery and anesthesia, then surgery may not be necessary. Nuclear sclerosis looks very much similar to cataracts. It makes the dog’s eyes cloudy. It is the result of normal aging and many vets say it doesn’t affect a dog’s vision. And if your oldie does have nuclear sclerosis, try giving him vitamins C and E. These two antioxidants are found to reduce the occurrence and slow down the progression of nuclear sclerosis. This eye problem is rather common, and though it could occur in all dogs, older dogs are more susceptible. The macula is the central area of the retina, and is essential for distinguishing details and colors. If a dog has macular degeneration, both his near and far vision will be impaired. Age is a risk factor of this eye problem in dogs. Other risk factors include obesity (yet another reason to lose those pounds, Fido! ), excessive sunlight exposure, and exposure to cigarette smoke. There is no treatment for macular degeneration. Antioxidants such as vitamins C and E, zinc and selenium may help slow down the progression. Glaucoma can happen to all dogs, but since advanced cataracts is one of its causes, dog parents with oldies should also be aware of this eye problem. Inside the eye, there is a clear fluid that maintains the eye shape and nourishes the eye tissues. In a normal eye, the fluid is constantly being drained out of the eye and replenished inside the eye. In glaucoma, the drain is clogged up but new fluid is steadily being produced, so the increased amount of fluid causes pressure to build inside the eye. While cataracts are painless, glaucoma is PAINFUL due to increased pressure within the eye. If untreated, glaucoma can cause blindness. Glaucoma can be caused by various conditions, such as uveitis (inflammation in the eye), lens displacement (luxation), cancer of the eye. But as mentioned above, one cause that is of more concern to old dogs is advanced cataracts. So if your oldie has advanced cataracts, watch out for glaucoma. Because the onset of glaucoma can be acute, if your dog suddenly has a red, bloodshot eye, with a diluted pupil, and he starts pawing at the eye and looks to be in pain, get him to the vet right away. As the old saying goes: Prevention is better than cure. Before you start seeing cloudiness or changes in your older dog’s eyes, do whatever you can NOW to prevent or delay the onset of old dog eye problems. 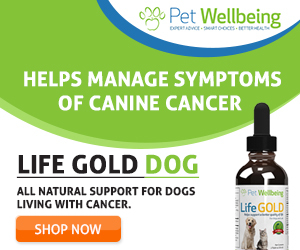 Perhaps the most important thing is to boost your dog’s immune system. Use Herbs to Support Eye and Immune Health: Some immune-boosting herbs (e.g. astragalus, Siberian ginseng) can also be given to your dog as an herbal tonic to ensure that his immune system is strong. In addition, the herbs bilberry and eyebright are considered “eye herbs” as they have a direct positive effect on eye health. Bilberry is rich in eye-nourishing nutrients. It enhances vision function and prevents damage to the structure of the eyes. It is used to prevent glaucoma, cataracts and macular degeneration. Eyebright is anti-inflammatory and rich in Vitamins A and C. Taken internally, it is an excellent herbal tonic for the eyes. It can also be made into a natural eye wash for topical use. Ginkgo is another herb that contains bioflavonoids and antioxidants that support eye health. Research found that ginkgo could be beneficial to glaucoma patients by lowering eye pressure because the herb could increase circulation in and around the eyes. Toxins and carcinogens can cause oxidative damage to cells, including cells in the eyes. It is of course impossible to avoid all toxins, but do your best. As much as possible, avoid exposing your dog to toxic chemicals, such as lawn spray, chemical flea and tick control, cigarette smoke, and foods with artificial flavorings, colorings, and preservatives. Detoxifying your dog on a regular basis. If you want to learn more about how to detox your dog, read this article. Can physical exercise support eye health? You may wonder. The delicate structures of the eyes are very sensitive to oxidation. To counteract free radical oxidation, the body needs antioxidants. But here’s the thing: the body cells need oxygen to get the most out of antioxidants. 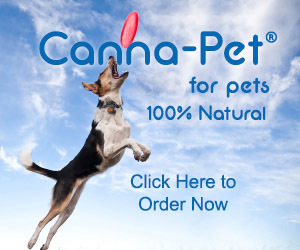 And how can you get more oxygen in your dog? Exercise! So, make it a daily routine to walk with your oldie at least 20-30 minutes a day. If your oldie is healthy and has no joint issues, let him swim, run after a ball, or fetch a stick once in a while. As mentioned above, some foods are excellent for dog eye health. Specifically, foods that are rich in lutein and zeazanthin are considered excellent for eye support. Lutein and zeazanthin are carotenoids that have powerful anti-oxidative properties. These two carotenoids are known as “sunscreen for the eyes” because they block blue light from reaching the underlying structures in the retina. This can help reduce the risk of developing macular degeneration. Other nutrients, such as beta-carotene, anthocyanins, glutathione, lycopene, and Omega-3 fatty acids, all have eye-nourishing and vision-supporting properties. Minerals such as zinc and selenium are also antioxidants that are good for the eyes. Whirl for a few pulses. Add a couple of tablespoons of this veggie mash to your dog’s meal as a topper. Here is also a Goji Berry Dog Biscuit Recipe that’s good for eye health and that your oldie would love! Dr. Mercola Eye Support For Pets : This supplement contains lutein, zeaxanthin, astaxanthin, bilberry, and vitamins C and E – all powerful antioxidants and nutrients for the eyes. Only Natural Pet Immune Strengthener : This natural supplement contains immune-support and anti-oxidative ingredients such as vitamins A, C, and E, mushrooms, astragalus, coenzyme Q10, selenium, and more, and is excellent in giving support to your oldie’s immune system.